Kids are energetic creatures; never wanting to sit quietly. Not only that, they are naturally very curious. So, one way of keeping active & inquisitive kids occupied is to grab your rucksacks and hurry into nature! One of the most visited places to relax in the city centre is the 22 hectare Horský park. In its forest air setting your children can make mischief without getting into trouble. In this park, you will also find an original historical gamekeeper’s house, where some of Bratislava’s sweetest delicacies are waiting for you. Moreover, children can have a lot of fun on the playground outside, where a collection of cute bunnies also play in their own little house. This is just a small sample of what the city forest has on offer, with the city park bringing its own unique atmosphere. 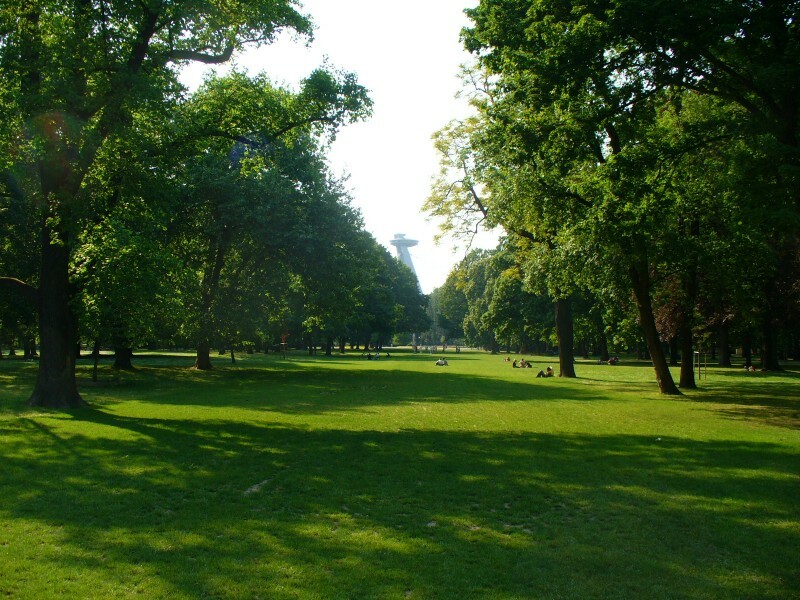 Called Sad Janka Kráľa, the park originally began as an orchard founded at the end of the 18th century, being one of the oldest Middle-European public parks known then as Star Alley. Nowadays it is a green oasis for young and old, big and small. Do you have an insatiable appetite for nature? If so, then let me invite you into the Bratislava Forest Park in the Little Carpathians, a very popular place for families with children. After hopping onboard the green line Number 43 bus, and travelling to the last stop, you’ll find yourself at the Železná studienka (Little iron well). Why iron? Because there’s a natural water spring containing mineral water rich in iron. As well as this you’ll also find yourself gazing at a large lake. Interested in paddling boats or fishing on the lake? Then try it! But if you’re after some serious fun, then you can’t miss Fit Park in the area known as Partizánska lúka, where you can jump on trampolines or discover a genuine insect hotel. There’s also the option of different sports to try – how are you at table tennis? Not sure? Why not be courageous and give it a go! Now let’s embark out on another trip, and let’s take a cable car. No, we haven’t suddenly landed in the High Tatra Mountains; we’re still in the forest park which offers a cable car for comfortable access right to the top of Kamzík, a hill overlooking Bratislava. From there an exciting view awaits all visitors. And if you then go directly down the hill through the valley, you’ll soon end up on a nearby railway station. Did you know that about 70 years ago the first train from Bratislava to Vienna wheezed passed here? You can easily lose yourself while exploring the ZOO, the Botanical Gardens, Devín Castle with its charming nature, and the countless hidden enclaves along the banks of the Danube, all of which promise unforgettable memories. 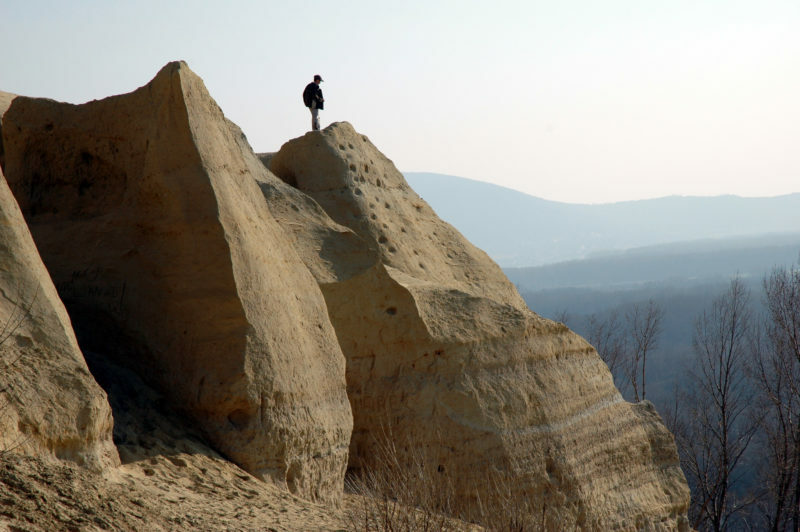 Finally, we invite you to an unusual sandpit – to the palaeo-sandpit in the area called Sandberg. Under the many layers of sand you can find various former inhabitants of Bratislava’s unique nature. Children can even become junior scientists. A grandfather seal, a rhinoceros, and also a precious blue butterfly are just a fraction of the fossilised creatures awaiting your visit, as well as a flock of goats which are very much alive.